Two Facebook posts contain messages from Ansar al Sharia Egypt leader Ahmed Ashush honoring slain al Qaeda leader Abu Yahya al Libi and praising Ansar al Sharia Tunisia. The statements were first published last year but were re-posted online in recent weeks. Mohammed al Zawahiri, the younger brother of al Qaeda emir Ayman al Zawahiri, has launched his own Facebook page. American officials have not been granted access to senior al Qaeda-linked terrorists detained in Egypt. One of them has ties to the Sept. 11, 2012 terrorist attack in Benghazi, Libya. The Ansar al Sharia Facebook pages analyzed by The Long War Journal contain valuable information, in addition to bluster. Two Facebook pages we reported on have been taken down since our articles first appeared. 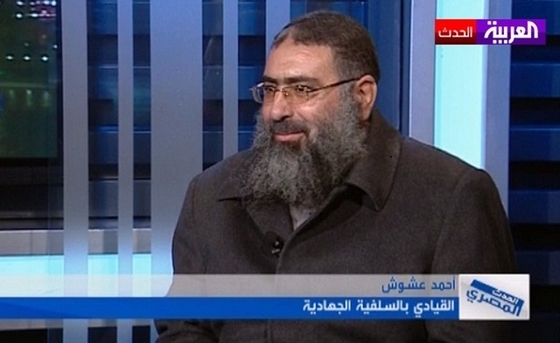 A British paper incorrectly reported that Mohammed al Zawahiri was arrested in Syria.